Back in 2015 I posted an article about Japanese Heavy tanks, entitled Japanese Monster. 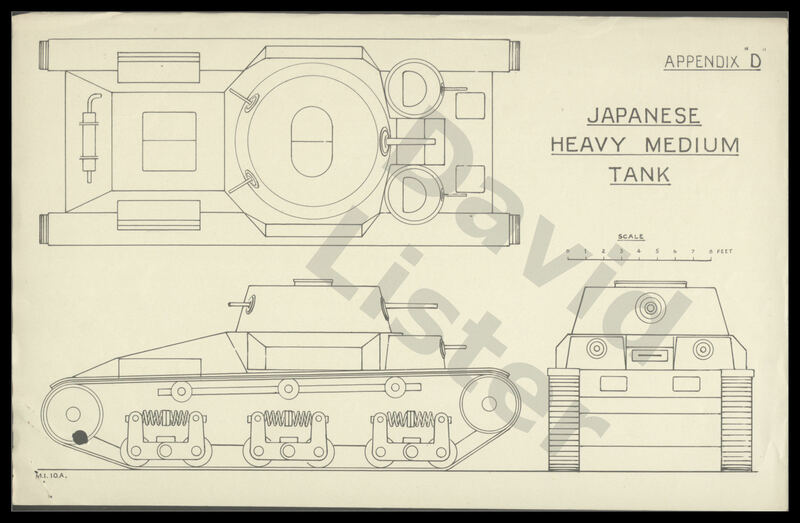 In it I mentioned several Japanese tank designs I had discovered in the UK archives. These designs and some proofs for them went into a chapter in my upcoming book, which due out in about two weeks at the end of October. It can be pre-ordered right now, with a £4 discount direct from the publishers. Cover of my first book. Can you name the tanks and guns? Part of my contract with the publisher forbade me talking about the contents of the book without their prior permission. Earlier this week I published an article on tanks encyclopedia (note: I've had a few other articles published over there already), containing the details of one of the Japanese heavy tanks I had re-discovered, the Mitsubishi 104. The article is written by me, and contains the details I was able to get from the UK files. As I was a bit short of an article this week, I decided to link to it, as a quick article. However I feel I'd need to pad this post out a bit more. So here's the plans from the archives. First the British drawing of the Mitsu-104. Next, the big prize, the original plans the above drawing was made from. 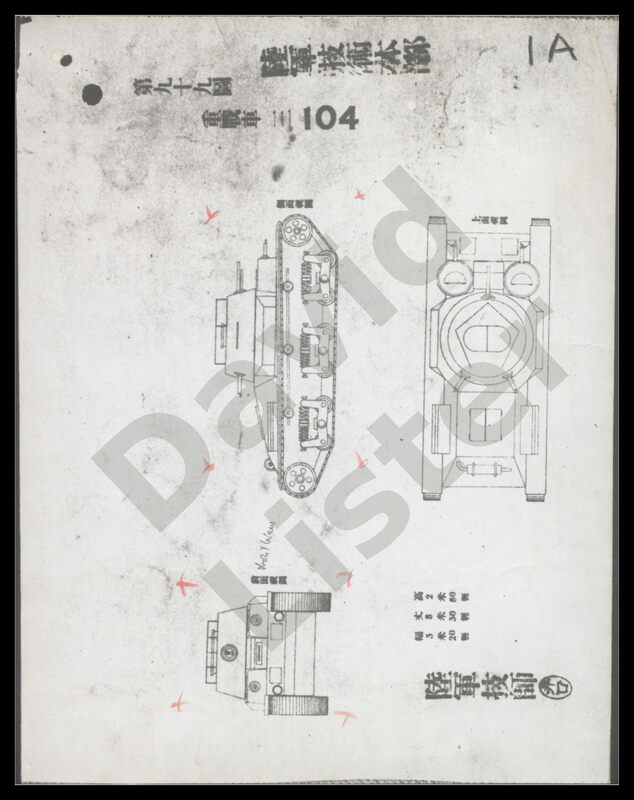 Finally the document was talking about all identified Japanese tanks. It included a review of their suspension. This diagram should give you an idea about the suspension style the Japanese used. From the layout of the wheels and suspension arms I suspect this is actually from a Type 97 Chi-Ha. On the Tanks Encyclopedia article, you mentioned that the Mitsu-104 used the same bell-crank suspension style as almost all other Japanese tanks. However, looking at the schematics the suspension seems very different from, say, the Chi-Ha's. Is it possible that the Mitsu-104 was planned to have a new suspension system? It might explain why the estimated top speed was so high. By the bell crank suspension I mean springs at the top facing two arms. You see it on just about every other Japanese tank, like the Chi-Ha and at least early sketches of the O-I. My questions about the speeds are more to do with the suspect Power to weight ratios to achieve that speed, and I doubt that a fancy suspension is goign to help that much. Vickers tried to claim such advancements with their new suspension types in the late 1930's. The British War Office called them on that claim, and it turns out the War Office was right. That's what I was thinking, that the designers of the Mitsu-104 placed too much faith in the newly modified suspension and predicted that it would have that top speed. Assuming the tank did ever have its mobility trials, it would most likely be considerably slower. Another possibility was that the speed was mistranslated from the original Japanese, considering that there's other errors on this document: http://dl.ndl.go.jp/info:ndljp/pid/4009934/9. For example, it claims the Type 89 I-Go Otsu had a 160 hp engine and went 18-20 mph, among other things. 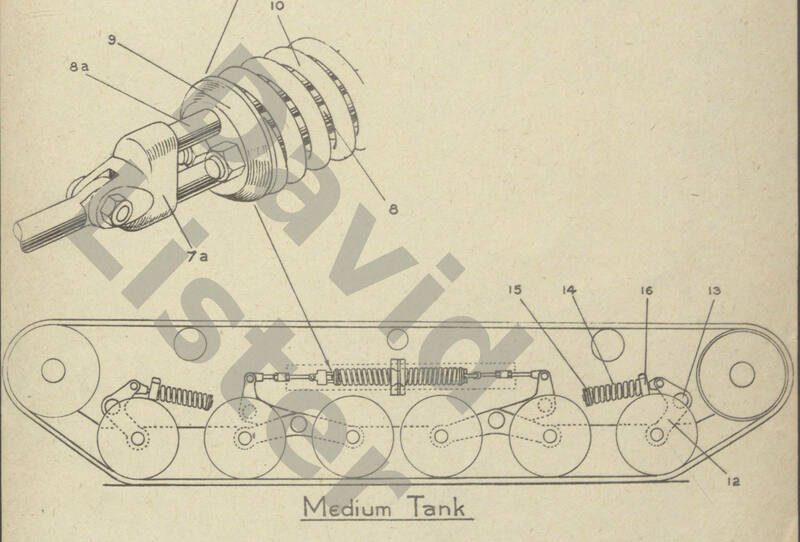 However, looking at the original Tanks Encyclopedia article the original speed was described as being "12 Ri". This does translate to 29.28 mph, so the Mitsu-104's top speed at least is translated correctly.